Now stop whining and stop crying about your circumstances and get busy about My business, says the LORD. I know what you need. I have not put the stop sign up. I have not put a chasm in the way or walls and mountains in your path to keep you from going forward. The enemy has made it his purpose to do this, but he is not your GOD and he cannot overpower ME. I Am with you and in you, and He cannot keep you back. It is his business to detour you, to distract you, to discourage you, to threaten you, to weaken you and to mock you. But you are bigger than that, for I Am the GREATER ONE with you and in you Who cannot be threatened, detained, entrapped or delayed. I alone Am your ever-present GOD, and I Am with you to further you and empower you to engage in MY BUSINESS, says the LORD. Arise like the warrior that I have created you to be, says the LORD. Stand in Me, and you will stand! Fight as you are clad in My armor, and take up My sword and shield. That is bigger than you, bigger than the enemy, bigger than the diabolical weapons of the enemy, and not able to be defeated. Walk in Me and put Me on and it will fit you perfectly, says the LORD, for the enemy is not able to hinder or abuse Me, and My business is none of his business. Do not concern yourself with what the enemy is doing, what he has planned to do against you and the weapons that he has devised. He will not succeed as you focus your attention on Me, what I have given you, and My Spirit that empowers you; and you will live in My kingdom, be filled with My glory and fulfill every purpose that I have assigned you to do under the sun, by My Spirit, says the LORD. Much needed wake up call. Thank you! Thank you lord for your love blessing n guidance that you had showered on me. Amen. I needed this especially today. I was feeling defeated today. Amen. Thank you LORD! GLORY TO GOD! 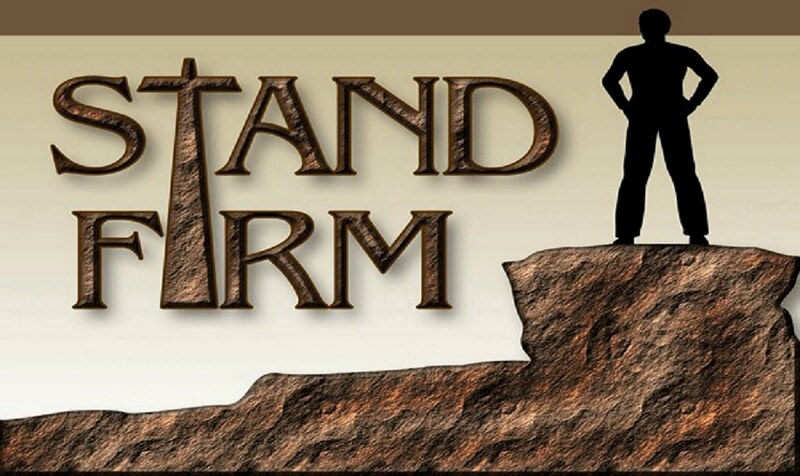 On you Lord Jesus I stand.